The high-stakes world of international finance turns deadly as a lawyer from a London banking house is murdered, a London merchant banker vanishes, a Russian freighter is intercepted in the Black Sea, and a children's magician discovers an unexplained fortune in his daughter's trust fund. 400,000 first printing. BOMC Main. On a Turkish hillside, ex-Communist mobsters shatter the skull of a corrupt English lawyer. In a sleepy English village, the authorities ask a lonely children's magician how come £5,000,030 sterling just got anonymously deposited in his baby daughter's bank account. With machine-like logic and soulful literary magic, John le Carré links these two events in Single & Single, a stay-up-all-night thriller. The magician is Oliver Single, the tormented son of Tiger Single, a rogue banker the Financial Times calls "the knight errant of Gorbachev's New East." In fact, Tiger is sinking his fangs into that crucial one-tenth of world trade free of pesky regulations--illegal drugs--and secretly selling donated disaster-relief blood. Mum's the word in Tiger's mob: as the lawyer's executioner notes, "Is not convenient to hear that American capitalists are bleeding poor nations literally." Oliver comes in from the cold to help spymaster Brock track Tiger down. That £30 sterling signified Judas's silver, but Oliver yearns to save Tiger's life, too. Le Carré wizardly juggles dozens of characters in a zigzag, globetrotting plot. You-are-there realism, narrative drive, pitch-perfect dialog--why can't movies be this good? Like lightning, le Carré's metaphors both dazzle and blazingly illuminate the world. 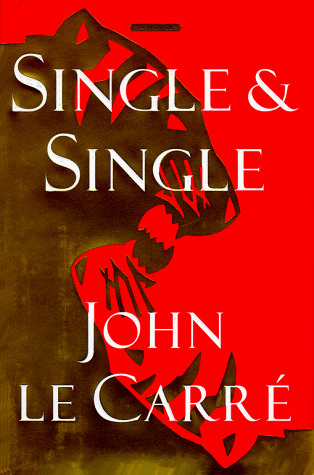 John le Carré was born in England in 1931. After attending the universities of Berne and Oxford, he spent five years in the British Foreign Service. The author of seventeen novels, including The Spy Who Came In from the Cold; Tinker, Tailor, Soldier, Spy; A Perfect Spy; The Russia House; and The Tailor of Panama, his books have been translated into 25 languages. He lives in England.